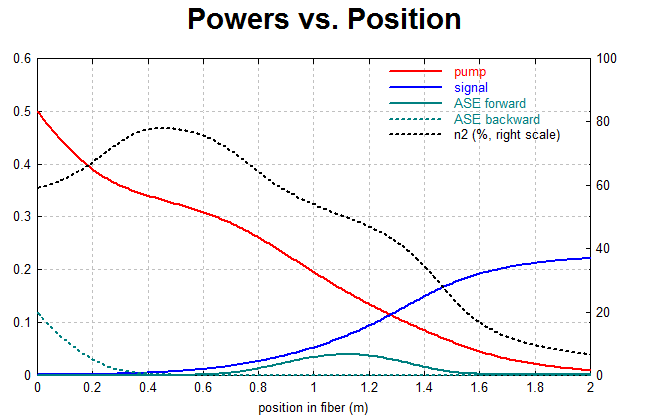 Here, we simulate an amplifier based on an Yb-doped fiber. The numerical and graphical outputs are displayed with an html file. Fig. 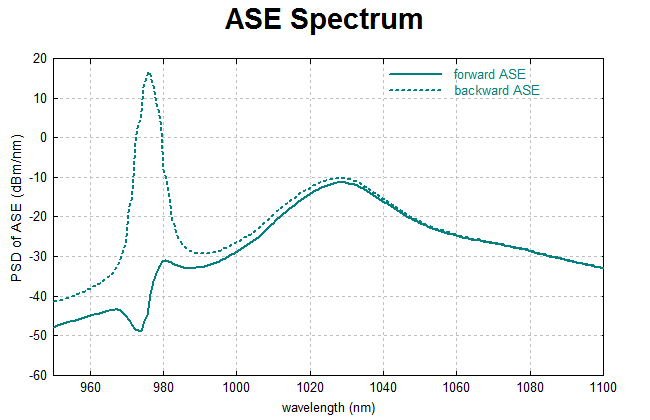 1: Here, we show how the optical powers at various wavelengths vary within the fiber. Fig. 2: This shows the spectrum of forward and backward ASE with a logarithmic (dB) vertical scale. Fig. 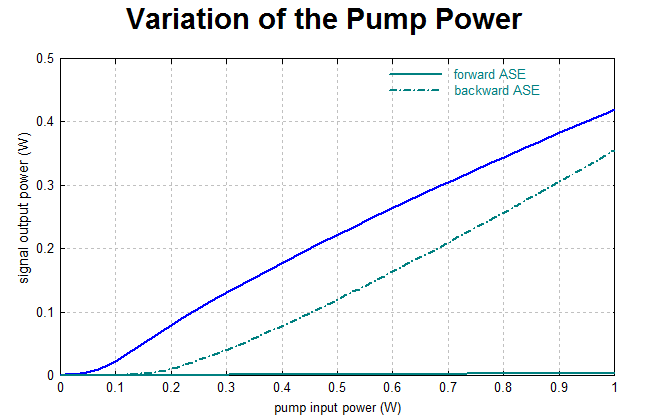 3: The outputs are plotted as functions of the pump power. Fig. 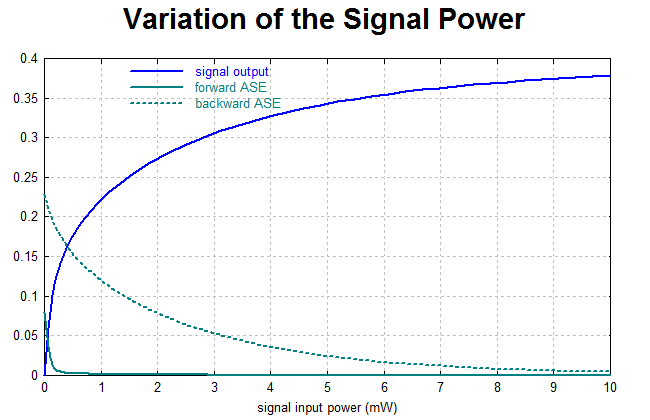 4: The outputs are plotted as functions of the signal input power.